TURIN -- Fiat and Chrysler Group CEO Sergio Marchionne said on Thursday that the Italian automaker considers it “natural” for Fiat to return to its historical 90 percent stake in its supercar subsidiary, Ferrari S.p.A. But minutes later, Marchionne gave a conflicting message, saying he would not exclude a possible Ferrari initial public offering before 2014. 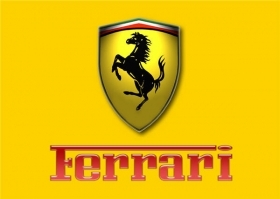 • In 2002, during its worst financial crisis ever, Fiat sold 34 percent of Ferrari for 775.2 million euros (about $750 million at that time) to Mediobanca, an Italian merchant bank, with a call option to buy it back. Over the years, Fiat bought back the entire stake except for 5 percent that Mediobanca sold in 2005 to Abu Dhabi's Mubadala Development Co. for 114 million euros (about $140 million at that time). In the documents leading to the spinoff of the Iveco heavy-truck and Case New Holland tractor units from Fiat Auto, Fiat said that its call option on the 5 percent of Ferrari owned by Mubadala expired July 31 and that the two companies are in negotiations. “We are looking for a way to permit Fiat to return to controlling 90 percent of Ferrari, our historical stake,” Marchionne told reporters. Small size, high profits, great IPO? Ferrari will be the most profitable subsidiary of the post-spinoff Fiat S.p.A.
Last year, despite the global financial crisis, Ferrari sales slipped 4.5 percent to 6,235 units. The brand's operating profit fell almost 30 percent to 245 million euros (about $320 million), but the company still had an operating margin of 13.8 percent of revenues. In the first half, Ferrari sold 3,200 cars, 2 percent more than the year before. Ferrari Chairman Luca Cordero di Montezemolo told Automotive News Europe last month that he sees 2010 sales slightly above 2009, sustained by successful models such as the 458 Italia and the 599 GTO and growth in China, where Ferrari sales were up 20 percent in the first half. Fiat could gain considerable cash from a Ferrari IPO, even retaining a 51 percent controlling stake and floating its remaining 34 percent -- or 39 percent if it buys back the Mubadala stake. The 2002 and 2005 transaction with Mediobanca and Mubadala valued Ferrari at 2.28 billion euros. In a recent report, Morgan Stanley in London valued the new Fiat S.p.A. at 7.8 billion euros. Ferrari -- which sells just over 6,000 units a year -- represented 3.1 billion euros in value, while Fiat Group Automobiles -- which sells 2.15 million units -- was worth 3.0 billion euros.